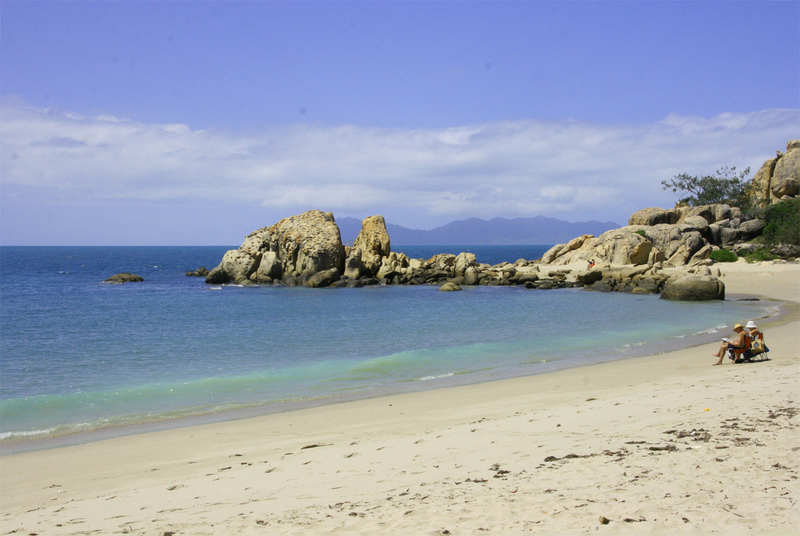 Bowen sits on the northern most part of the world famous Whitsundays and is halfway between Townsville and Mackay. 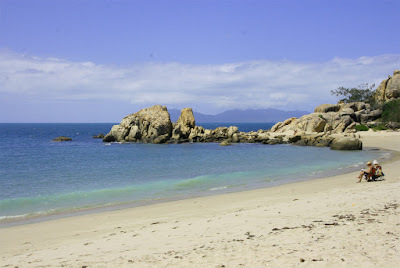 Bowen is situated on a Peninsula with ocean on three sides so pretty much where ever you look you have an amazing view. It was very nice to walk in the white sand and the shallows of the beach today. This area is well known for its fertile soils and amazing crops grown, but it is most well known for its mangoes. 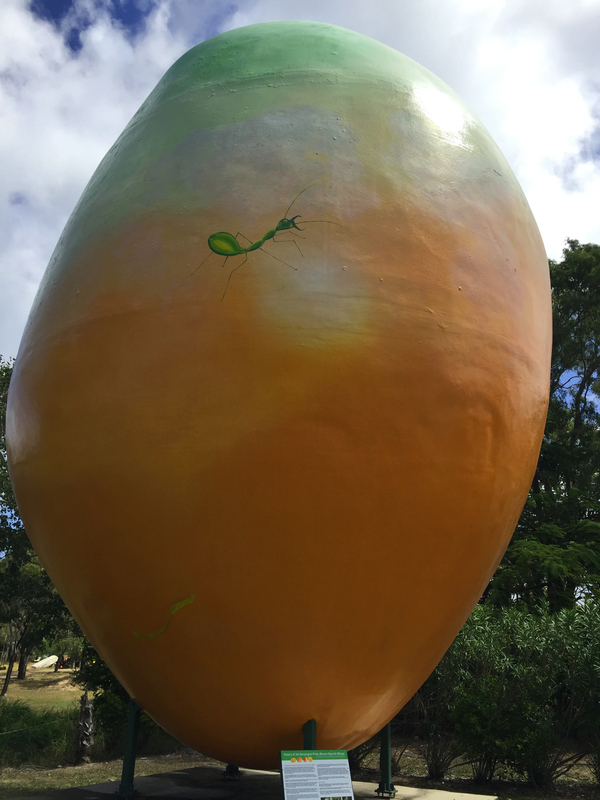 In 2002 this seven tonne fibreglass, 10 metre high Big Mango was erected at a cost of $90,000. But one night in February 2014 the Big Mango was stolen in an overnight operation!! The mango was found the next day and it was later revealed that the theft was a publicity stunt. This weekend is the 25th anniversary of the Bowen Fishing Classic. 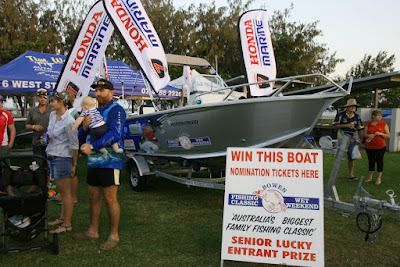 There are lots of categories in which anglers can enter and have a chance of winning numerous prizes such as boats and money. 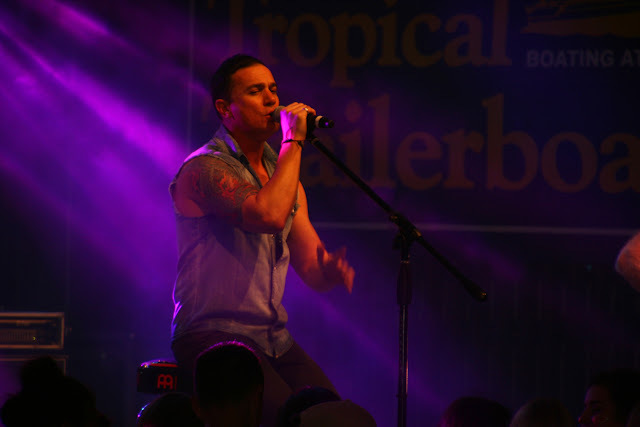 Even though it is a fishing weekend there are lots more activities happening such as concerts, markets, food stalls and heaps of stuff for the little ones to do. 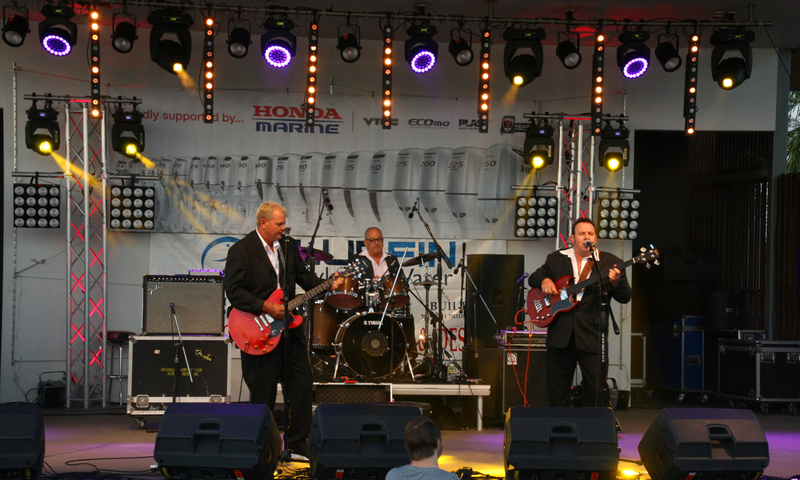 Saturday night was a night of music with bands such as the rockers The Cadillacs, rockabilly band Christian Power and the Lonesome Train followed by a great display of fireworks. The night was finished off with a great concert by the very talented Shannon Noll. 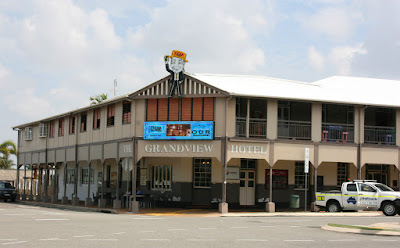 Back in 2006 Bowen was chosen as a filming location for a third of the production of the fantastic movie Australia, starring Nicole Kidman and Hugh Jackman and directed by Baz Luhrmann. Anyone who has seen the movie may remember the scene where they drove the cattle down the main street. Well this is the pub from that scene minus the cattle. When it was announced that Australia was going to be filmed in Bowen the locals took it upon themselves to paint Bowenwood in large letters on an old water tank on top of a hill. 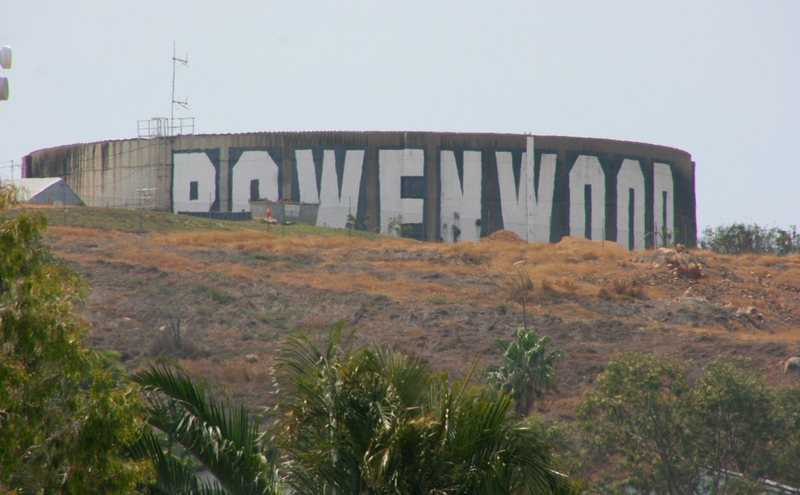 I guess it was their take on the iconic Hollywood sign. Sunday was a pretty lazy day but seeing there was a market on we had to visit it. It was a pretty good market and I bought a new pair of thongs and a yummy sweet pineapple. 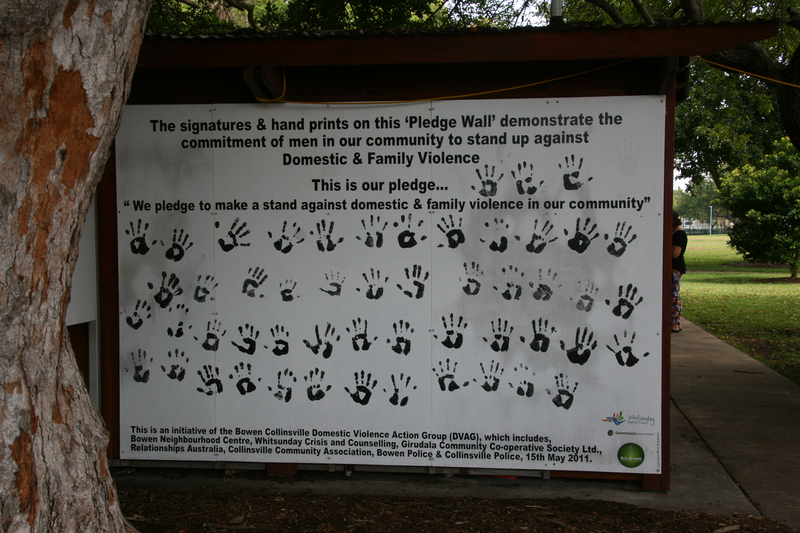 But as we were leaving this painting on the toilet walls really caught my eye. 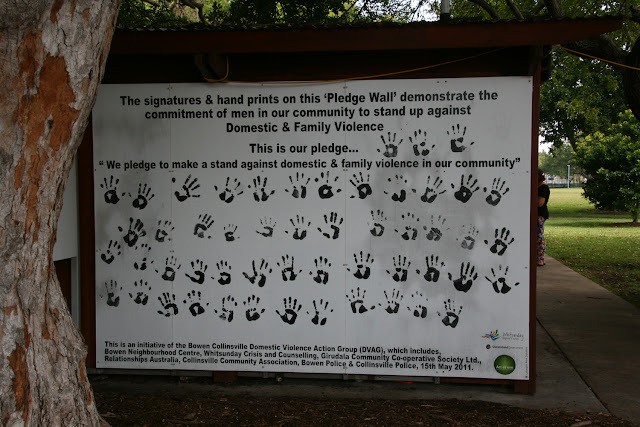 Obviously the men of Bowen feel strongly about the subject of abuse. 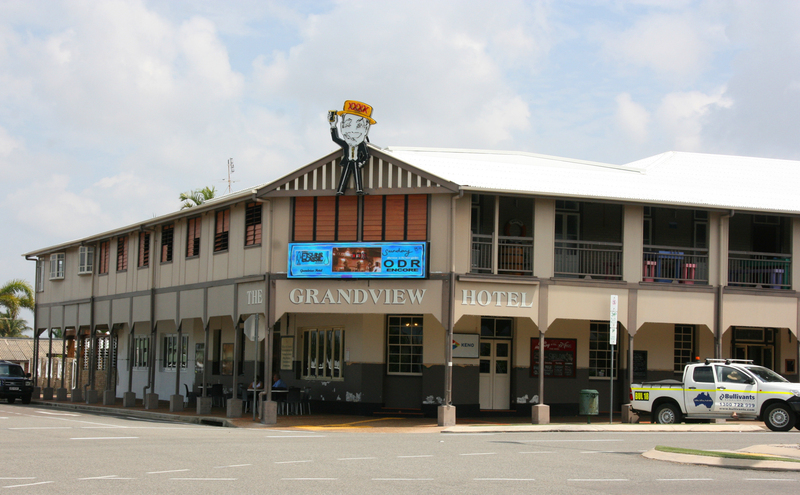 Today is also our last day in Bowen and I must say I have really enjoyed staying here. My son Shane said I would like it but I take everything he says with a grain of salt because he could be just pulling my leg. 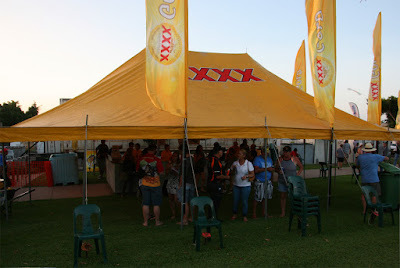 So tomorrow it's off to Airley Beach, which is pretty much in the heart of the Whitsundays. Could be a bit busy as its now school holidays! !